The level of corruption is incredible: It is almost impossible for the children of what is left of the Middle Class to enter an elite university. The elite who run those schools want young men and women primarily from two groups: the sons and daughters of wealthy leftists, and left leaning minority youth who can be indoctrinated. A third group would be athletes who make tens of millions of dollars for the schools by getting beat up on football fields in return for tuition. Enormous amounts of money were paid out in order to ensure that children from very wealthy families were able to get into top schools such as Yale University, Stanford University, the University of Texas and the University of Southern California. And as The Economic Collapse blog’s Michael Snyder writes, “we should certainly be disgusted by these revelations, but we shouldn’t be surprised. Such corruption happens every single day on every single level of society in America.” At this point our nation is so far gone that it is shocking when you run into someone who actually still has some integrity. 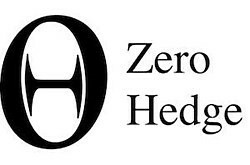 NOTE: Zero Hedge was blocked from Facebook even though the publication has no Facebook account. You read that right! Facebook barred all users from even sharing articles that appeared at Zero Hedge, citing “violation of standards.” Of course, no one knows what the Facebook standards are, since they are not published. Facebook relies on the Atlantic Council to determine many of its decisions to censor groups. The Atlantic Council is funded by Western governments, autocratic Muslim Gulf State regimes, NATO, and major corporations. After an expression of outrage from President Trump’s son, Donald Jr., Facebook stopped blocking Zero Hedge. Although I don’t agree with every article in Zero Hedge, I read it daily because duplicity and lies by the Deep State are often exposed there. More corruption: The CEO of Charity Navigator is paid hundreds of thousands of dollars a year. The organization raises millions of dollars, mostly from big corporations. It is not too surprising that most conservative organizations receive poor ratings from Charity Navigator. It’s a name for an organization that makes its officers rich! Corruption is everywhere. Ever wonder why certain products are on eye level shelves at your supermarket? The manufacturer paid to have the items on that shelf. That Ford in the TV show … yes, that too! I have attended many, many lunches and dinners with Senators and congressmen in Washington, DC. I have sat across from many a Senator and talked to him eye to eye because I was fortunate enough to have a political action committee pay for my seat at the table. Is that corruption? I have an answer … everyone does it, and it is the only way I can take a message from you to elected officials. It is the only effective way for me to be able to express social conservative views on a one-on-one basis to a Senator or congressman. Congressional seats that used to cost $150,000 to run for 30 years ago, now cost millions of dollars, and that money must come from someplace. That someplace is often from someone who has an agenda. Elected officials need big bucks to stay in office. Right now, the supporters of the Deep State have the bucks to buy anything (and anyone). A final word on corruption: Over the last decade, the United States has led other Western governments and China in printing trillions of dollars’ worth of currencies that have no intrinsic value. The trillions of dollars printed by the Federal Reserve in the USA have gone to inflate the stock market and to make welfare payments — not to create jobs and not to build infrastructure. It is a house of mirrors and everyone here on Capitol Hill, liberal or conservative, knows it. The printing presses roll on. This year the United States will spend one trillion dollars more than it takes in. The official debt will hit over $23 trillion by the end of this year. We are living inside the “The Emperor has no clothes” fairytale. There are people, including economists such as David Stockman, who are pointing and saying “the emperor has no clothes” but no one wants to listen to them yet. The money flows too easily to too many people, and all turn a blind eye to the reality that our entire economy is a fantasy. A fantasy that does not include the Middle Class who do the work and pay the bills.